In my favorite photographs, the habitat is just as important as the animal that lives in it - and often it's even more important. 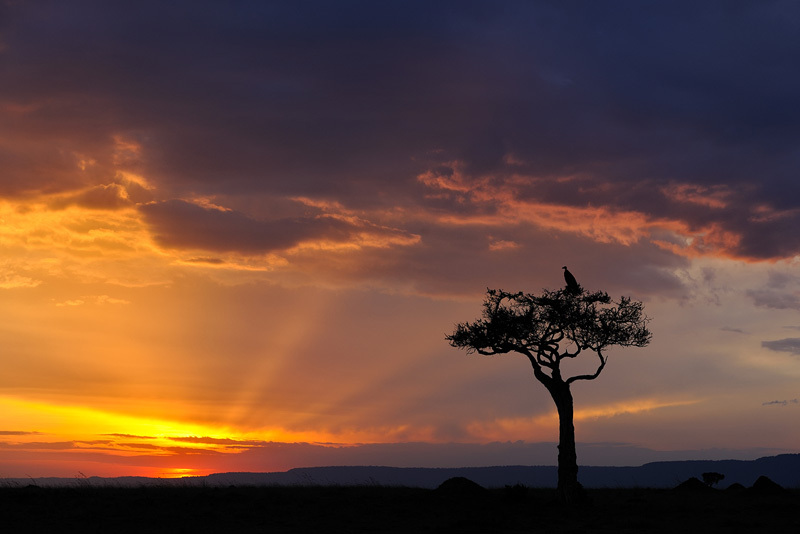 This image of a vulture up a tree was shot at sunset in Kenya, on a Squiver workshop. It's hard to say what is the main subject here - the vulture or the landscape. And that's exactly how I like it. The vulture is only a tiny element in the shot, but it's very important because it brings the landscape to life and it adds scale to the shot.